What is feng shui Ming Tang Definition? There is another important feng shui item, it is Ming Tang. 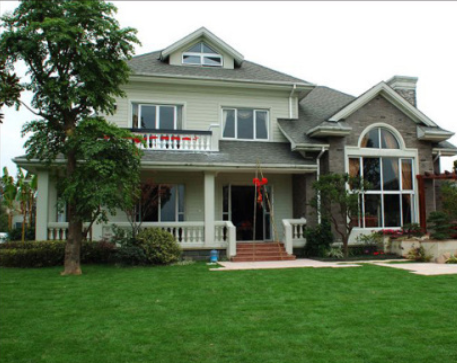 The areas which front your main door is called Ming Tang, such as Garden and front yard. Ming Tang is one place where Chi feng shui energy gathering. Ming Tang is playing very important feng shui role, auspicious Ming Tang can help to gathering positive feng shui energy Chi. Ming Tang area shall be flat, clean, open, beautiful and welcoming. The Ming Tong is the space that welcomes the qi to the structure. Now we know why the Garden and front yard are so important to our home in feng shui. Nice, clean and welcoming garden and front yard really could help us to get positive feng shui energy Chi, we will benefit from Auspicious Ming Tang (Garden and front yard). now it is time to make your garden and front yard more open, beautiful and welcoming.